ASRB NET Syllabus and ASRB NET Exam Pattern 2019 are now available here to download. So, the candidates who are looking for ASRB NET Exam Syllabus can get it from this page. For your reference, we have also provided the latest ASRB NET Exam Pattern 2019 on our site. Also, Download ASRB NET Syllabus PDF 2019 from the link given below. ASRB NET Recruitment Board has released vacancies of 180 for Lecturer, Assistant Professor & Scientists Posts. Aspirants who are appearing for ASRB NET Examination. 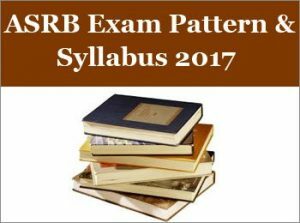 Here we have ASRB NET Syllabus, ASRB NET Exam Pattern, v Recruitment, ASRB NET Previous Year Question Papers, and ASRB NET Admit Card. 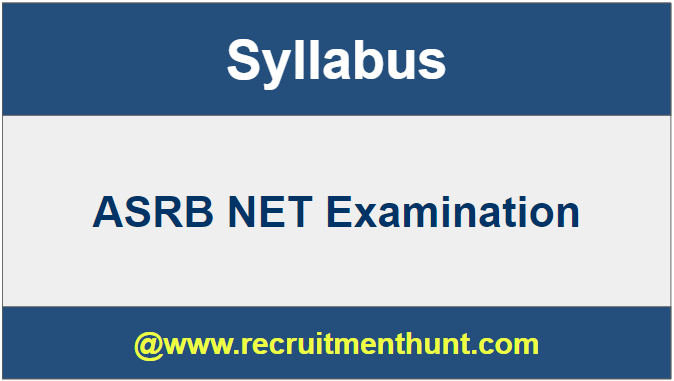 If you are finding ASRB NET Syllabus & ASRB NET Exam Pattern 2019, then you are at the right place. The ASRB NET Syllabus and ASRB NET Exam Pattern 2019 have been updated here. So, the aspirants who are preparing for Agriculture Research Service ARS Preliminary in Combination with NET 1 Exam can download ASRB NET Syllabus for best preparation. Since by knowing the ASRB NET Exam Syllabus, the individuals can get an idea regarding the important topics that are covered in the ASRB ARS NET Examination. Hence by concentrating on that material, the aspirants can qualify the ASRB written test with a good score. Stay tuned to our Recruitment Hunt website to get latest updates regarding all Government Jobs Notifications, Syllabi, Previous Year Question Papers, etc. The Agricultural Scientists Recruitment Board New Delhi has released notification for conducting ARS (Preliminary) and NET (I) Examination. The ARS Exam is held for recruiting the aspirants for 180 Scientists Posts and NET I Exam is conducted for filling the Lecturer & Assistant Professor vacancies in various State Agricultural Universities. Most of the people have been applied for these two examinations. As there will be huge competition, the applicants must work hard for cracking the ASRB ARS and NET Exams. So, the individuals must check and download the Combined ASR and NET-1 Examination Syllabus and make a proper and better preparation plan. Also. check the Test Patterns of ASRB Agriculture Research Service and NET Exams. The applicants should qualify all the three rounds i.e, Preliminary, Mains, and Viva-Voce to achieve Scientist Posts. In ARS Prelims Exam, there will be 150 objective type questions for 150 marks and each question carries one mark. The exam duration for ARS-2016 written test is 2 Hours. In ASRB ARS-2016 Mains Exam, there will be three parts for 240 Marks and time duration is 3 Hours. Part-A consists of 40 questions carrying 02 marks each and Part ‘B’ will have 20 questions of 5 Marks for each question. Part-C contains 6 essay type questions and each question carries 10 marks. In ASRB National Eligibility Test, there will be 150 objective type questions for 150 marks and one mark for each question. The complete and detailed Syllabi for ASRB Agricultural Research Service Exam and ASRB National Eligibility Test are as follows. Also, check ASRB NET Previous Solved Papers here. Land & Water Management Engineering etc. Finally, candidates can download ASRB NET Previous Year Question Papers, Notification & Exam Pattern here. Applicants can make their preparation easier by following ASRB NET Download ASRB NET Exam Pattern along with ASRB NET Previous Year Papers through this article. Also, for more job updates do subscribe and stay tuned to our website RecruitmentHunt. Sir please give me vegetable science previous year paper. Sir, Please send privious 5 years question paper. There will be negative marking in the paper and students shall avoid answering questions they aren’t sure about. appearing in SNAP 2010, it is important that they understand SNAP paper.